Aiming to get into top Indian Engineering Colleges? Here is how you should go about it. It is very important to know the best engineering colleges you can avail as an NRI student from Gulf or from any other country excluding Gulf region. Note: According to the latest update from DASA, from 2021-22 onwards, JEE Rank will be made mandatory for NRI/PIO/OCI Students to be eligible for DASA & CIWG Schemes. Hence, 2020-21 will be the last year when SAT 2 scores will be considered for DASA/CIWG Scheme. Now, let's talk about each of them in detail so you can understand what is needed to get into these colleges and how should go about them. There are 23 IITs in India & once you clear both the JEE Exams, you can choose any one of the IITs based on your choice & rank. Checking the entire JEE Registration 2019 will walk you through the entire registration procedure, if you’re aiming for IITs. JEE Mains - Irrespective of the orientation (NRI or Indian), all students need to first appear for JEE Mains Entrance Examination. JEE Advanced - Students who qualify JEE Mains are them required to appear for JEE Advanced test. Result Declaration - Based on the total JEE Advanced score and AIR (All India Rank), qualified students are asked to appear for counselling. College Allocation - Students will be offered UG Streams and IIT Colleges based on their AIR and JEE Advanced score. Typically most popular streams in prestigious IITs gets filled in top 1000 ranks. Note: To get into IITs there is no alternative for NRIs, JEE Examination is mandatory. No quota is involved or entertained. 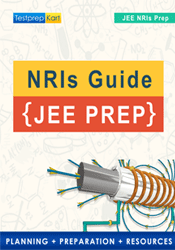 Click here to know more about Procedures & Preparation of JEE for NRIs. Before even starting, let’s elaborate about NITs and CFIs firstly. In India, NITs (National Institute of Technology) & CFIs (Centrally Funded Institutions) are total 56 in number. These are funded by the government and are reputed engineering colleges in india. Every engineering aspirant keeps the 2nd priority of pursuing UG Courses from NITs as they are India's finest colleges. For NRI Students all over the world, MHRD launched a scheme called DASA (Direct Admissions of Students Abroad) in 2001. This gave NRIs a quota of 15% reserved seats in NITs, IIITs, & CFIs of India. The DASA Scheme assists you with on-boarding about 30 National Institute of Technology’s (NITs), 4 Indian Institute of Information Technologies (IIITs), 3 School of Planning & Architectures (SPAs) and 14 Centrally Funded Technical Institutes (CFTIs). DASA scheme is generally for the NRI Students who are willing to pursue Bachelors (UG Courses) in Engineering / Technology / Architecture streams in the prestigious colleges like NITs, IIITs, SPAs and 14 other CFTIs of India. You can find the entire DASA 2019 registration process here. You’ll have to just pay around 5.5 Lakh to accomplish your Bachelor’s degree. But you have to work very hard to prepare for JEE Mains (for admissions in academic year 2021-22 onwards) or SAT 2 (for admissions in academic year 2020-21) Subject Tests to get admission under CIWG Scheme. Check the CIWG 2019 for more details. For NRI Students, the good news is that, preparation for JEE Mains can help them in applying for admission under DASA/CIWG Scheme. Here is the reason behind it: From 2021-22 session, JEE Mains score will be mandatory for DASA/CIWG Scheme for NRIs/PIOs instead of SAT 2 Scores. Just as mentioned for the preparation of IITs, students must appear for the first exam of JEE which is JEE Mains. JEE Advanced isn’t mandatory here in applying for NITs, CFIs under DASA/CIWG Scheme. But the JEE Mains Rank must be high enough in order to get the UG Course & college of your choice. Speaking of the latest update from DASA, let me thoroughly explain the scenario. In academic year 2019-20, the candidates of Grade 11th who are studying/preparing to avail the benefits of DASA/CIWG Scheme, they are supposed to fight JEE Mains (for DASA 2021) to get admissions in NITs,IIITs,CFTIs of India. Similarly, for the academic year 2019-20, the candidates of Grade 12th who are studying/preparing to avail the benefits of DASA/CIWG Scheme, they must prepare for SAT 2 (for DASA 2020) to get admissions in NITs,IIITs,CFTIs of India. Prepare for SAT Subject Test - In order to get admission in NITs and CFIs in India, all NRI Students need to write SAT Subject Test which is also alternatively known as SAT 2. 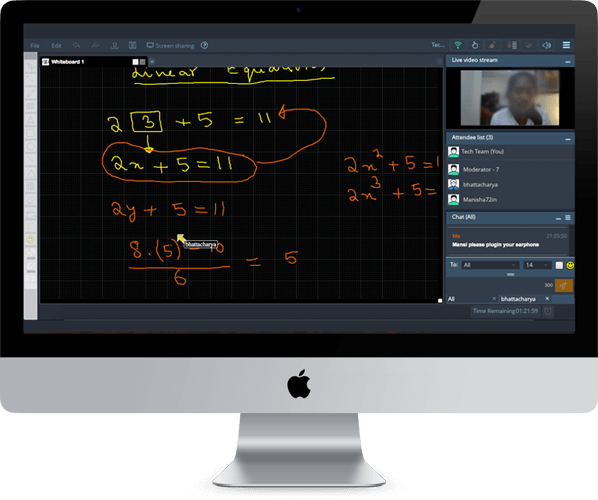 Get all information on SAT Subject Test here. SAT Examination - SAT test is usually conducted 6-7 times a year and students need to appear for Maths (Level 2), Physics and Chemistry for admission in NITs and CFIs. These test can be given independently also. Minimum cutoff for getting admission in NITs and CFIs is 1850 marks out of 2400 marks. But, this is merely passing marks for Indian students. Anything lower than 2200 will not get you good NITs or CFI institution in India. Result Declaration - To get admission in following year students should get all SAT score for all three subjects before May. By June, students must send their SAT 2 results to the DASA via their college board account (to the concerned organising NIT for counseling). Counselling - All NRI Students will be given admission in NITs, IITs & CFIs based on their SAT Subject Test score. 2020-21 is the last academic year when SAT 2 Scores will be considered for DASA/CIWG Scheme. From 2021-22 session onwards, JEE Mains Scores will be mandatory. Private Engineering colleges are also a good option for NRI students. Check the entire best engineering colleges for NRI students list here. Prior applying to these colleges, you’ve to check every college registration procedure by visiting the college websites individually. This is a broad discussion now, getting admission in Private Engineering Colleges in India is fairly easily and not competitive and therefore not very much preferred by NRI students. Those who wish to get admission in private engineering colleges can simply take relevant state engineering test and their score will be valid for admission in private engineering colleges in India. This depends from state to state. In addition, NRI students might have a higher fee for admission in private colleges, but this varies from college to college. Please check the respective Institute’s website for more details. If you had already taken JEE main, then your JEE main score will also be accepted for admission in private engineering colleges in india for NRI Students from Gulf or from any place abroad.